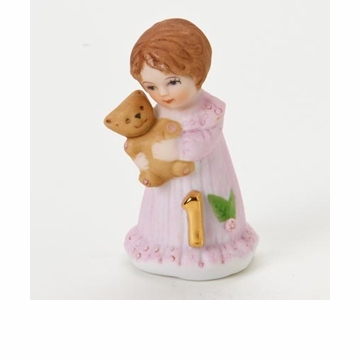 The one year old girl figurine from the Enesco Growing Up Girls collection has brown hair and is wearing a pink dress or nightgown and holding her favorite teddy bear. 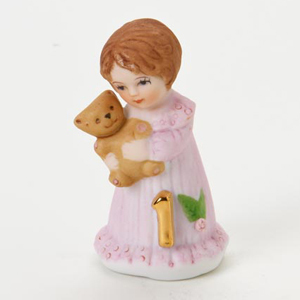 The figurine is made of porcelain bisque. Also available with blonde hair. This adorable figurine makes a great cake topper or gift for the special one year old in your life.